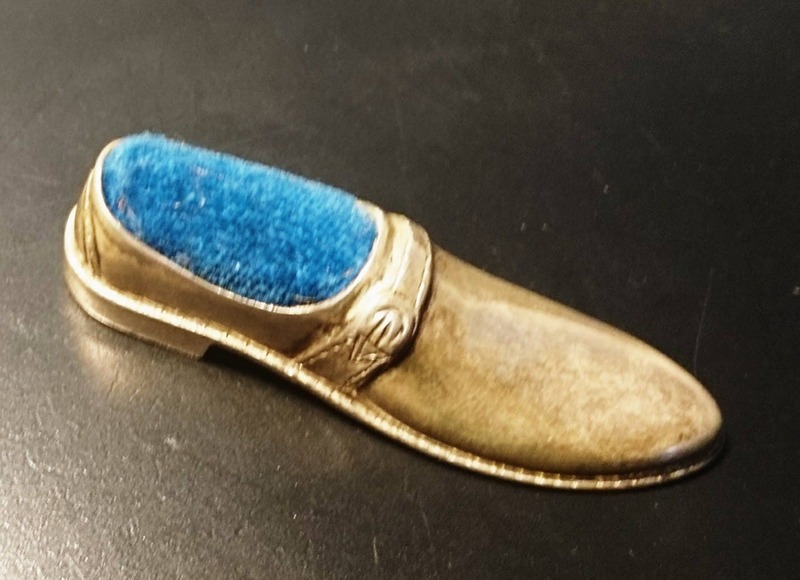 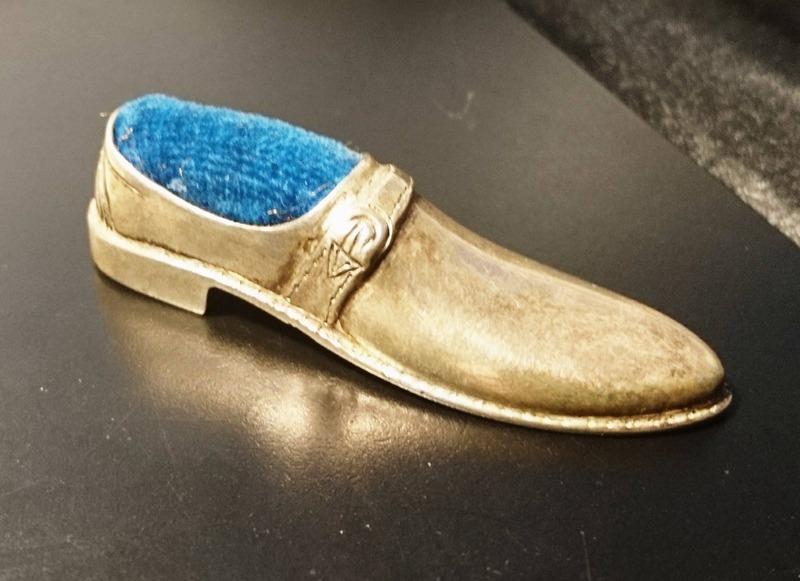 A fantastic solid sterling silver Victorian novelty pincushion in the form of a shoe. 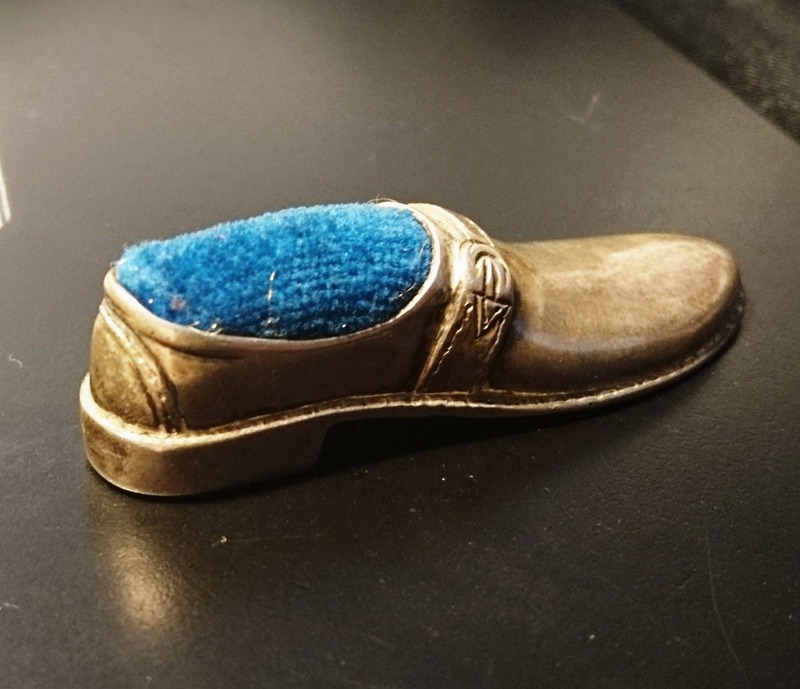 This awesome antique pincushion has incredible intricate design on the shoe from the buckle right down to the tiny stitches. 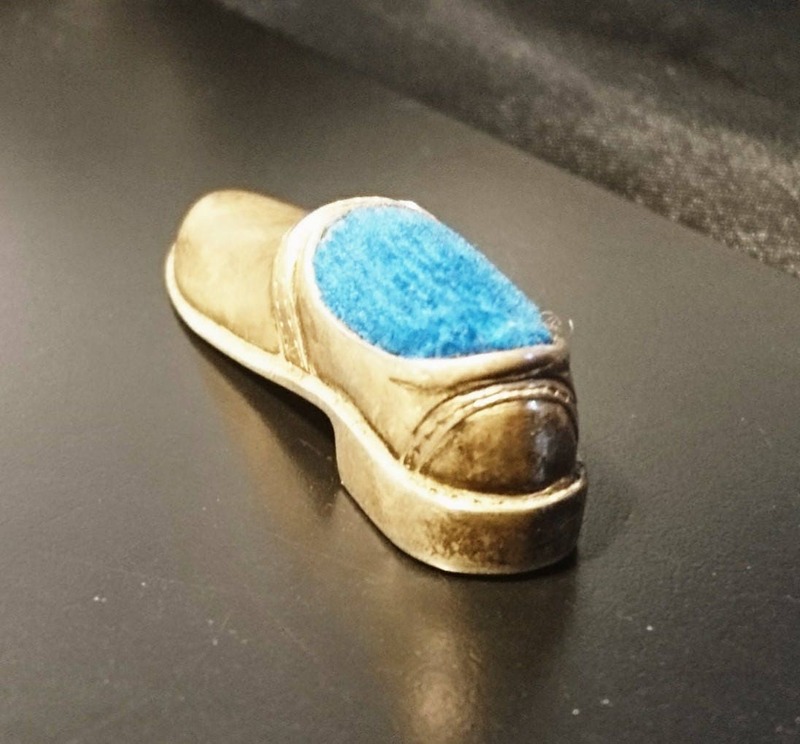 It has a blue velour cushion protruding from the shoe where the pins and needles can be safely stored, ready to use. 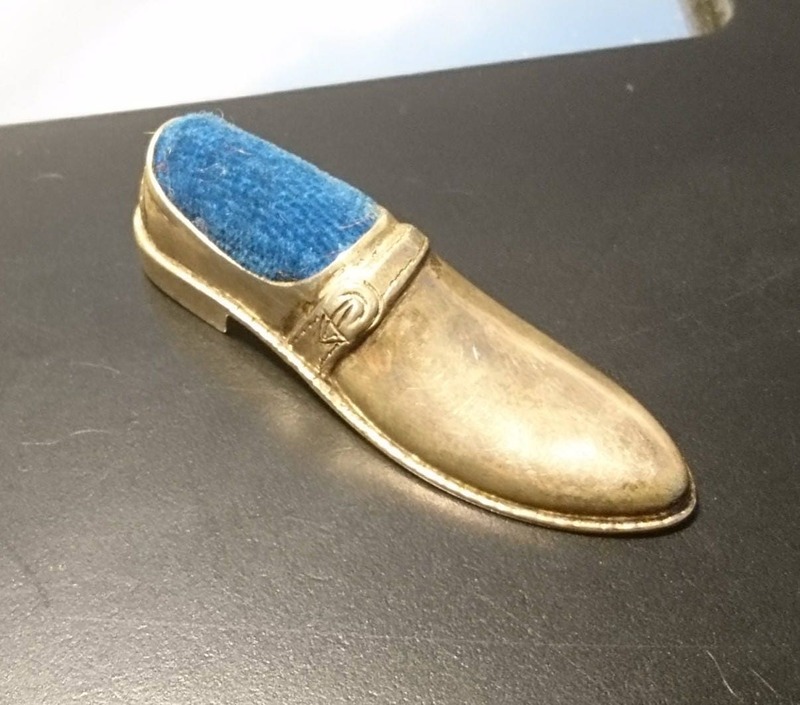 Approx 2.5cm width and 5.5cm length. 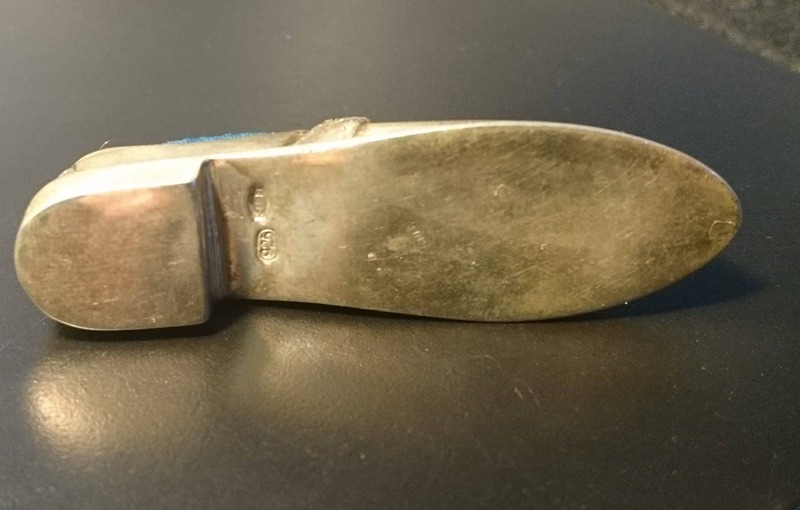 Stamped on the underside 925 and makers mark, Circa 1896.